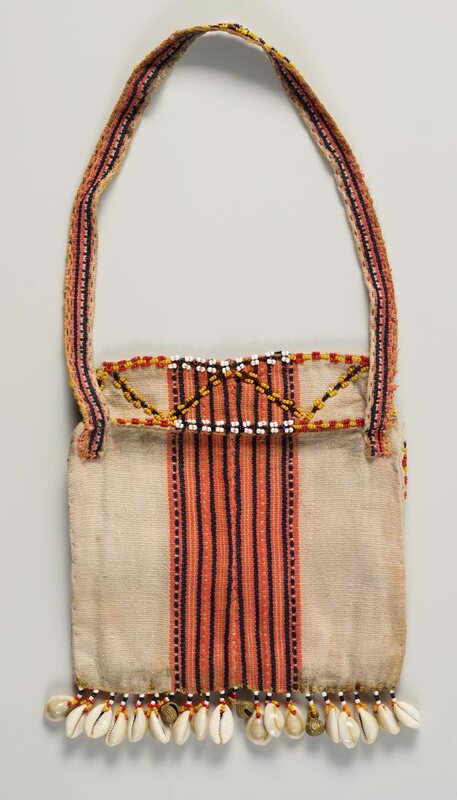 This style of square bag with strap would have been worn over the shoulder or secured to a belt worn around the waist. The aesthetic of Ga’dang clothing and cloth accessories is very similar to that of their neighbours the Kalinga and displays the same tendency to decorate with beads, buttons, coins and shells. While the design of the woven textile is not overly colourful in this case, intricate beadwork is applied in a striking geometric pattern to give a tired piece of cloth a new lease of life. 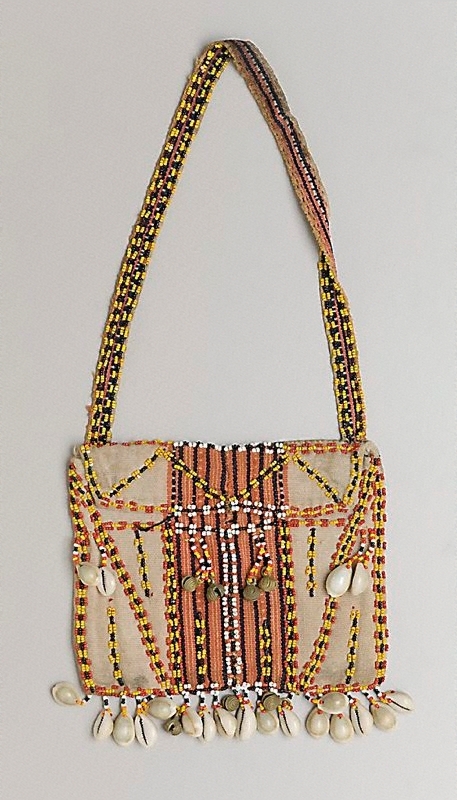 The addition of shells, which were an imported novelty for mountainous communities like the Ga’dang and Kalinga, also help to move and reflect light, adding a dynamic element to the bag’s overall design.